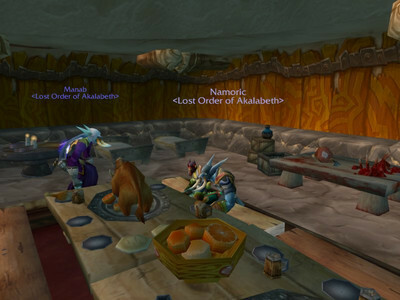 Meeting via MMOGs like World of Warcraft is a lot like dating. It's always better to have something else to do on a date besides just sit and talk. Having a straightforward, explicit shared goal like painting a room or storming a castle takes the pressure off the interacting part of the encounter. It provides a framework for socialization. It can also inspire ideas. It gives you a reason to be together so that you can just be together. Business meetings should be more like dates in that way. Someone should start creating virtual worlds designed specifically to facilitate business interaction (if they haven't already).